It’s not breaking news that France will have a new president in 2017, but the election will have a major impact on the whole French media landscape. Here’s why. The context of the French presidential election, to be held on April 23 and May 7, 2017, will be unlike any other. After Brexit, after Trump’s election, even after the French primaries on the right, journalists from all over the world (France included) stand accused of being disconnected with reality and unable to forecast the news. In France, it’s true that the media went full steam on former prime minister Alain Juppé, while his rival François Fillon, also a former prime minister, overpowered the competition. The French media now faces challenges: How to interview voters who don’t want to tell their real intentions? How to report facts when official sources sometimes lie? The news competition will be fierce. We won’t know who’ll have the greatest impact until the final runoff results. France’s legacy media companies are not so strong. Several international-born digital players are launching in France just before the run for the presidency (Business Insider, Forbes); others are now well established (Le Huffington Post, BuzzFeed, Slate.fr, etc. ); others operate from Brussels, at the center of Europe (Politico); and others “made in France” (Les Jours, Contexte, Médiapart, etc.) are doing well online. The real fight may not only be between legacy and born-digital media, but between media companies and algorithms which are said to be the real decision makers for elections, especially for undecided voters. The winner of the news competition will be the one who masters readers’ mobile screens. 44 percent of the French population uses a smartphone to access news. The French love push notifications, and “notification journalism” in France, if I can call it that, will be key. For Brexit, Politico Europe used a referendum tracker implemented in Apple Wallet to send notifications without any app. “We pushed news every 20 minutes, but our users wanted more,” said Politico’s Kate Day during her lecture at Sciences Po Journalism School. “They are really addicted when they are really interested in the topic.” Meanwhile, Le Monde’s team keeps mobile push notifications to no more than 5 per day. There’s no firm rule about the right frequency of alerts; besides, smartphones’ users can opt out if they’re getting overwhelmed. In 2017, the fight to become the best “pusher” is only beginning. 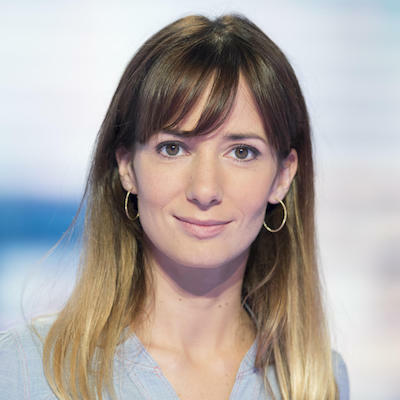 Alice Antheaume is executive dean at Sciences Po Journalism School in Paris. Dec. 19, 2016, 12:11 a.m.